In Wilbur v. State Farm Mutual Automobile Insurance Co., No. A15-1438 (Minn. April 5, 2017), the Minnesota Supreme Court greatly limited the insured’s recovery under the First-Party Bad Faith Statute, Section (Minn. Stat. § 604.18). Although State Farm was found to have unreasonably denied John Wilbur benefits under his underinsured-motorist policy, the calculation of his recovery for “proceeds awarded” had to take into account the policy’s limit of liability. As background, on January 10, 2009, Wilbur suffered serious neck injuries and permanent nerve damage following a rear-end collision. Wilbur received the full $100,000 policy limit from the at-fault driver’s liability insurer. Wilbur also demanded the full $100,000 limit under his underinsured-motorist policy with State Farm. State Farm paid Wilbur $1,200 and later offered an additional $26,800 to settle the claim, which Wilbur rejected. Subsequently, Wilbur filed this action for breach of contract to recover the full amount under the State Farm policy. The jury returned a verdict in excess of $400,000 (which was then reduced to approximately $256K in taking into account other payments made to Wilbur). Yet, the court ultimately entered judgment in the amount of $98,800, i.e., the amount remaining on the $100,000 UIM limit after considering the $1,200 paid by State Farm. Wilbur amended his complaint to add a cause of action under Minn. Stat. § 604.18, “which permits an insured to recover ‘taxable costs’ if an insurer unreasonably denies insurance benefits.” Under this statute, an insured is entitled to “‘one-half of the proceeds awarded that are in excess of an amount offered by the insurer at least ten days before the trial begins or $250,000, whichever is less.’” Minn. Stat. § 604.18 subd. 3(a)(1). Wilbur’s Section bad faith claim proceeded to trial, and the court concluded State Farm’s denial of insurance benefits lacked a reasonable basis. Nonetheless, the court also concluded that the amount of “proceeds awarded” was capped by the insurance policy limit. The Court of Appeals affirmed. The Supreme Court of Minnesota then granted Wilbur’s petition for review and affirmed. 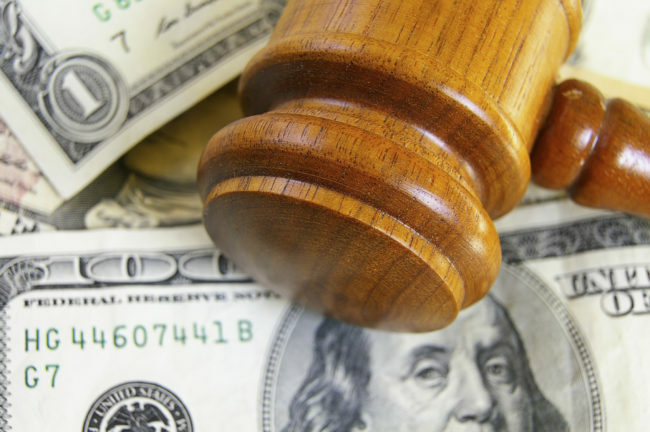 The Supreme Court identified three reasons for refusing to allow an insured to calculate the “proceeds awarded” based on an amount in excess of the policy limit. But at bottom, when determining an insurer’s liability under the statute, the Supreme Court announced that an insured’s recovery can only be the difference between the insurer’s last settlement offer and the amount the insurer is required to owe given the applicable policy limit. Because the difference here between State Farm’s last settlement offer ($26,800) and the amount it was found to owe ($98,800) was $72,000, all Wilbur could recover under the First-Party Bad Faith Statute was $36,000. This is in contrast to the difference between the amount offered ($26,800) and the amount awarded irrespective of the policy limit ($256K), which would have been approximately $114K. This decision is of great importance to insurers in that it certainly limits their extracontractual exposure.